There are three main types of hearing loss. That makes it seem as if it would be easy to understand them all, right? But in our jobs we talk with lots of people whose work involves hearing, like audiologists and surgeons, and have realized that there are lots of little nuances to hearing loss. It can be really confusing! So we wanted to take this chance to give some short and light descriptions about the different hearing losses. Basically, there are three main types of hearing loss: sensorineural hearing loss, conductive hearing loss, and mixed hearing loss. 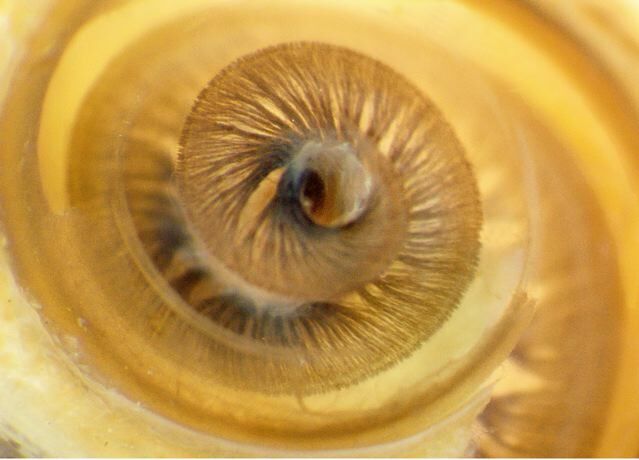 “Sensorineural” means that this hearing loss has to do with the thousands of little nerves that are inside the cochlea (that’s what you see in the picture at the top of this post). If you want, you can check out our post about the cochlea and these nerves in our “5 Amazing Facts About the Cochlea” article. When someone has sensorineural hearing loss, that means that some of these nerves are missing or damaged. These nerves take sound waves (vibrations in the air) and send it to the brain, so if they’re not completely working then some of that sound won’t be able to get to the brain. Depending on how many of the nerve cells aren’t working, the level of hearing loss can vary from very little to complete deafness. Sensorineural hearing loss makes sounds seem quieter or fuzzy. It can affect all frequencies of sound or only some of them, so sometimes it can be difficult to tell if you have a hearing loss at all. There are lots of reasons why sensorineural hearing loss happens. It can be present from birth, or it might happen at another time early or late in life. This can happen due to exposure to too much noise, smoking, some diseases, and even taking certain medications. This is because their cochlea would be able to recognize sound vibrations, but something is blocking the sound waves and therefore these vibrations do not reach the cochlea. Conductive hearing loss makes sounds seem as if the ear is plugged: sounds from the outside can be difficult to hear, but other sounds like your own voice or chewing on food can be heard just fine. If you don’t have a conductive hearing loss, you can simulate it by wearing ear plugs or sealing your ears with your fingers and then talking out loud. The blockage that causes a conductive hearing loss might be temporary or permanent, and the amount of hearing loss depends on what kind of blockage it is. Temporary causes can be ear infections, too much ear wax, or something stuck inside the ear canal, while other causes can be a hole in the ear drum or when the three little ear bones (called the hammer, anvil, and stirrup) cannot move. Mixed hearing loss is exactly what it sounds like: a mix of different hearing losses, specifically sensorineural and conductive hearing losses. Therefore the reasons for a mixed hearing loss are a mix of the reasons for both sensorineural and conductive hearing loss. If you think you have a hearing loss, you should talk with your doctor. This will help you to make sure that you know exactly what type of hearing loss you have so that you know how to effectively treat it. There are many different ways that people treat their hearing loss. These include hearing aids, which make sounds louder, bone conduction implants which use the natural abilities of the skull to vibrate and send sound straight to the cochlea, middle-ear implants which vibrate within the middle ear, and cochlear implants which send electric information straight into the cochlea. If you or someone you know has a hearing loss, talking with a doctor can help to find the best type of solution. Do you have a hearing loss? When did you find out that you had a hearing loss? Let us know by leaving a comment below!